PineCone Research is one of the highest paying survey sites, and it is a very popular site. However, it is not a site for everyone, as it is only open through invitation, and there can also be good reasons to join more sites than just PineCone Research, even if you are a satisfied member of the panel. 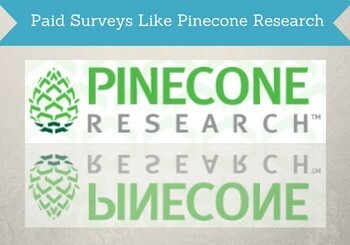 On the list below you will find 9 great paid surveys like PineCone Research that are all great alternatives or great in addition to the platform, if you are already a member. Why look for sites like PineCone Research? Let me first start by saying that PineCone Research is a great survey site. If you have the chance to join it, you definitely should. You can however only join it through invitation, so it is not a survey panel everybody can join. If you are not already a member, you can check out my PineCone Research review, as it has invitations for selected countries, and it is regularly updated. So you can check if there is an invitation link to your country. If there is, it is a great panel to join. But one reason for looking for survey panels like PineCone Research is obviously, if it is not available in your country. But even if it is available and you already are a member, there are good reasons to look for other similar sites. Paid survey sites have different offers, different partners they work with, and therefore different opportunities to earn. PineCone Research has some great opportunities, as it pays very well for your time spent. It does however not have opportunities as often as some other survey sites. Some even have several paid survey per day. So to increase your chances of earning by taking surveys, it is always a good idea to join several sites. But do not just join any site – there are some that are just a waste of time. That is why I below have made a list that will make it easy for you to find other great sites to join. How much can make by joining more sites? Before getting to the list of the best sites similar to PineCone Research, let’s first look at the overall earning opportunities by taking paid surveys. 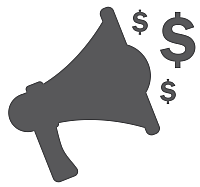 Paid surveys is a really good opportunity to make some extra cash in general. But you need to do it with the right expectations. If not, you will quickly give up and not be successful. So do not expect it will make you rich to take paid surveys – it will not, and any site that claim this is a scam site. However, it is one of the easiest ways to start making money online, as anybody can do it, there is no risk whatsoever as there is no investment, and you will start making a profit from day one. In this way paid surveys are unique compared to other ways of making money online. And if you join several sites, there are good earning opportunities, and it is a great way to make some nice extra cash. To have a good amount of opportunities, it is great to join 6-8 sites for a start. There are many paid survey sites available. On the list below I have only focused on the sites that are the most like PineCone Research and the best of these. This means sites that are simple and easy to use, and where the main way to make money is by taking surveys. There are also great sites like for example Swagbucks and PrizeRebel that offer many different ways to earn, but they are not on the list below, as they are not that similar to PineCone Research. The list will give you an overview of sites that are all legit and gives great opportunities for taking paid surveys. You can then click below each description to read more about how to join the sites that are the most relevant for you. YouGov is similar to PineCone Research in the way that it has some very interesting surveys you can participate in. It has survey panels for many different countries in the local language, and you do not need an invitation to join. It is easy to use, and you will get an email every time there is a new survey available, and it has a good amount of opportunities. The exact rewards you can get depends on the country you live in. Some of the rewards you in general can choose from are PayPal, gift cards, and products. GlobalTestMarket is another site that is definitely worth checking out, if you like PineCone Research, or if you are looking for an alternative to it. It does not have a huge amount of surveys, but it is very easy to use. Once you have signed up, you just wait to receive survey invitations via email. Exactly how many opportunities and the rewards you can get on GlobalTestMarket depends on the country you live in. It has specific survey sites for 49 countries in the local language. ClixSense is the site on this list that is the least similar to PineCone Research. It is however still an easy-to-use site, where the main way to earn is by taking surveys. You do however have to login to the site to check the opportunities, and it can take a little more patience to find the surveys you qualify for. What is great about ClixSense is that it is available in more or less all the world and gives decent earning opportunities in most countries. You can get paid through Payoneer, Skrill, Tango Card, Dwolla, and check. Some of the payout methods are only available in some countries. MySurvey is not available in as many countries as some of the other sites on this list, and is mostly available in English-speaking countries. In the countries where it is available, it has a survey panel for the specific country with specific surveys just for that country. As PineCone Research it is a site that is easy to join and use. It in general offers more surveys than PineCone, but not quite as high rewards, but still has decent earning opportunities. In addition to surveys, MySurvey regularly has sweepstakes, occasionally has product testing, and you can earn a bit by inviting friends to join. The exact payout methods depends on the country you live in, but in all countries PayPal is available, and in some Amazon gift cards or other gift cards are an option. PaidViewpoint is unique as is PineCone Research. They are however unique in different ways. Both of them are sites that you should definitely join, if you live in a country where you can. PaidViewpoint is unique in the way that you will always qualify for the surveys you are offered, and the surveys are short multiple choice surveys, so they are fast to do, and therefore pays pretty well in relation to the time you spend. You can in theory join PaidViewpoint no matter where you live, but it is only in the US, Canada, the UK, and to some extent Australia that it gives you enough surveys to make any money. The payout method is PayPal. Toluna has a few more options than PineCone Research, but the main way to earn here is still paid surveys. It does however offer surveys more often, and often you can find several surveys a day. It has panels in the local language in a long range of countries. In addition to taking surveys, you can also create content and interact with content created by other members, and this can earn you a little extra, if your content is interesting enough. But the only real way to make money on Toluna is through surveys. The payout methods vary from country to country, but you can get paid through PayPal and choose between many different gift cards in most countries. Green Panthera is available in around 22 countries. It has a few different ways to earn, but it is still on this list as it like on PineCone Research is only through taking surveys you can really earn. On Green Panthera you can however earn a little extra by taking online offers or cash back from online shopping, if you live in the US. Green Panthera does however have one disadvantage and that is that you usually receive many emails per day with invitations to available surveys. However, most of them you will not qualify for, so it takes a little patience compared to some other sites. On Green Panthera the payout method is PayPal. Ipsos i-Say has specific survey panels in the local language for around 100 countries. Like PineCone Research it is easy to use, and you receive an email when there is a new survey available. There are not a huge amount of surveys available on Ipsos i-Say, but the surveys that are there are usually about interesting, current, and relevant topics. Ipsos does have a few other ways to make money in addition to surveys, as you can participate in contests, and in some countries it has a loyalty program, where you get a bonus the more active you are. But in all countries the main way to earn is by taking surveys. The exact payout methods depend on your country, but examples are PayPal, Amazon gift cards, gift cards, and products. Prolific is another unique survey panel, and even though it is unique in a very different way than PineCone Research it deserves a spot on this list. It is a platform where researchers go to get answer for their surveys, and you are therefore only offered research studies here, so by participating you will contribute directly to new and important research. Prolific is available in around 34 countries. You will however not be offered many surveys in most countries, but it depends a lot on where researchers at any given moment are looking for participants from. So make sure to also join other survey sites to get enough earning opportunities. On Prolific you can get paid through PayPal or Circle. There you have it – a list of some great sites similar to PineCone Research. Whether you are looking for alternatives because you cannot join PineCone Research, or if you are looking for more earning opportunities, these are great sites to join. And remember to join several sites to increase your earning opportunities. So have a look at the list and click on the read more button to read the full reviews to get all the details and to see how to join the sites that sound the most interesting to you. If you have any comments, questions, or know of sites you think belongs on the list, feel free to leave a comment below. Would be great to hear from you. A very interesting read! I have tried doing surveys in the past but got fed up with all of the emails coming through all the time and I never seemed to “Qualify” for the survey after going through many questions. I like how you have a brief overview and the pros and cons about your selected survey sites and then I can click through to find out more information. I also like that you included sites that are not only US based. Perhaps I might try a few out and see what they are like. Out of interest – how much time would you spend on doing surveys? How long time it is necessary to spend on surveys is very difficult to say, as it depends very much on the particular sites you join. And it is also up to you how many of the surveys you are offered you want to participate in. You can just do 5 minutes of spend several hours a day. Personally, for me it differs from day to day how much time I spend. Some days only 5-10 minutes. Other days 1-2 hours. It depends how much time I have and which surveys I am offered. I have been interested in doing surveys in the past as a way to make money online but I was skeptical about actually getting paid for my work, or I would see crazy high payout claims like how you mentioned scam sites. Other times I would come across a site that said $3 for a 30 min survey. that’s only $6 a hr so I passed. I’m not sure if you have any articles about the highest paying legit survey site but that would be a good read. Anyways just wanted to say great article. Thanks for the feedback. PineCone Research is one of the absolute highest paying sites, but which sites that are the best in general depends a lot on the country you live in. I have made lists of the best sites in several countries – you can check these out and see the highest paying sites in your country.